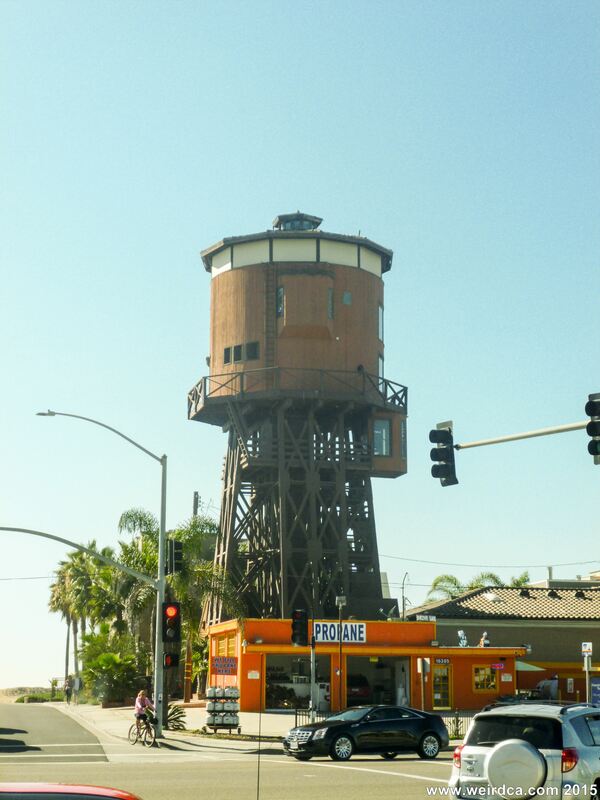 Sunset Beach is home to a unique residence, the Water Tower House. This 87 foot tall structure has an elevator that takes guests up to the three story domicile at the top. From there visitors have an impressive view of the ocean. 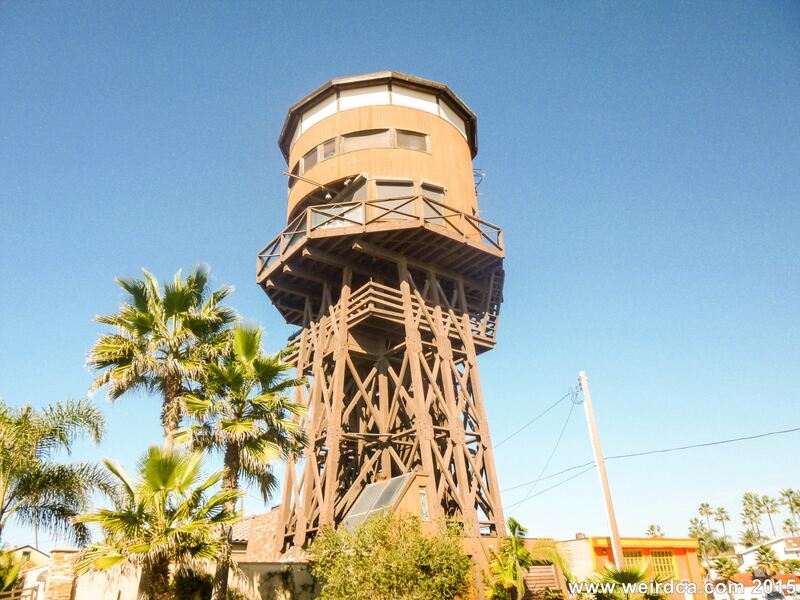 Originally constructed from a 19th century wooden water tower, the building is now available for vacation rentals, last at $3500 to $4000 a week. 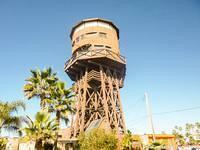 Formerly servicing steam engines, the Water Tower House is now a posh vacation rental. The over 100 year old water tower once had a 75,000 gallon capacity and was originally used to service steam engines. 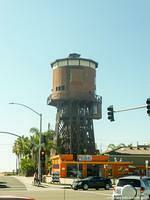 When the trains sadly stopped running, the water tower became obsolete. 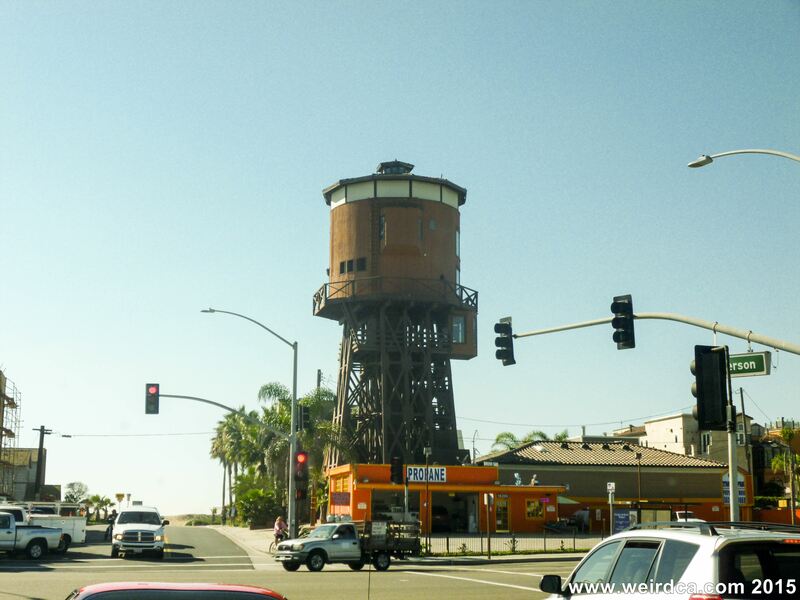 It was almost demolished back in the 1980s, especially when the city of Seal Beach discovered that it would cost $100,000 to renovate, but after a "Save the Water Tower" campaign, luckily several architects intervened and converted the tower into the house it is today. 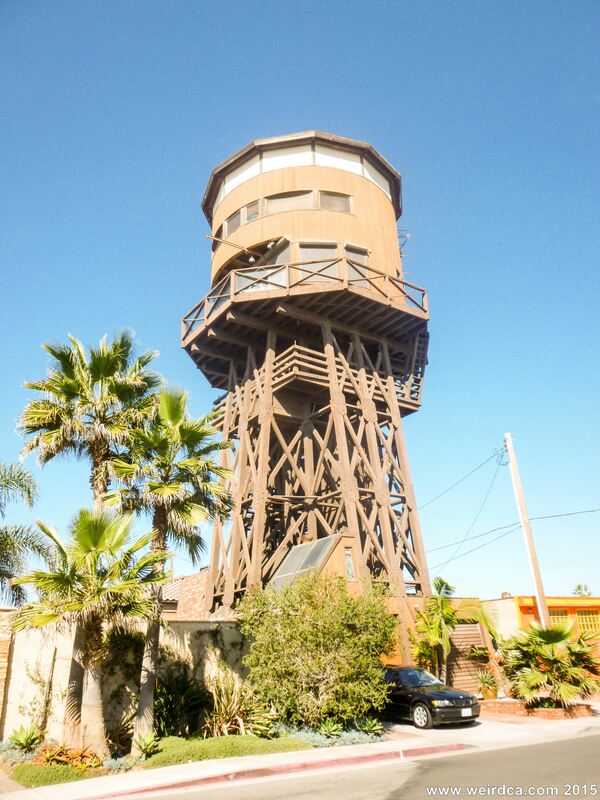 The house was converted by George Armstrong, a professor at Long Beach City College who had once bought another water tower, and another partner, Dr. Robert Odell Jr. Conversions were finished in 1984. The house boasts 3000 square feet (Zillow says 2400), two master bedrooms, a maid's quarters, and four bathrooms. There is an entertainment room with a 360 degree view, a 42 inch diameter indoor fire pit, a 175 gallon fish tank, a home movie theater, and stained glass windows as well as electric blinds. It has not one but two Jacuzzi tubs, one of which is on the upper deck, providing a beautiful view of the ocean. From the nine story tall structure it's amazing view consists obviously of the Pacific Ocean, but also Catalina Island, Huntington Beach, Long Beach, Newport Beach, and the San Bernardino Mountains. 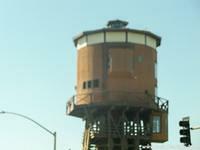 The tower is owned by Jerry Wallace, who purchased it in 1995 for $800,000. He lived in it for awhile, but as previously mentioned now rents it out as a vacation rental.